NEW ROUTE replacing Route 107 between New Barnet and Brimsdown. Mon-Fri extended from Barnet to Barnet General Hospital - but start point was ARKLEY HOTEL on return. Extended from Barnet to Arkley at all times. Schoolday journeys added from Oakwood to Barnet operated by First Capital. Converted from double to single deck. 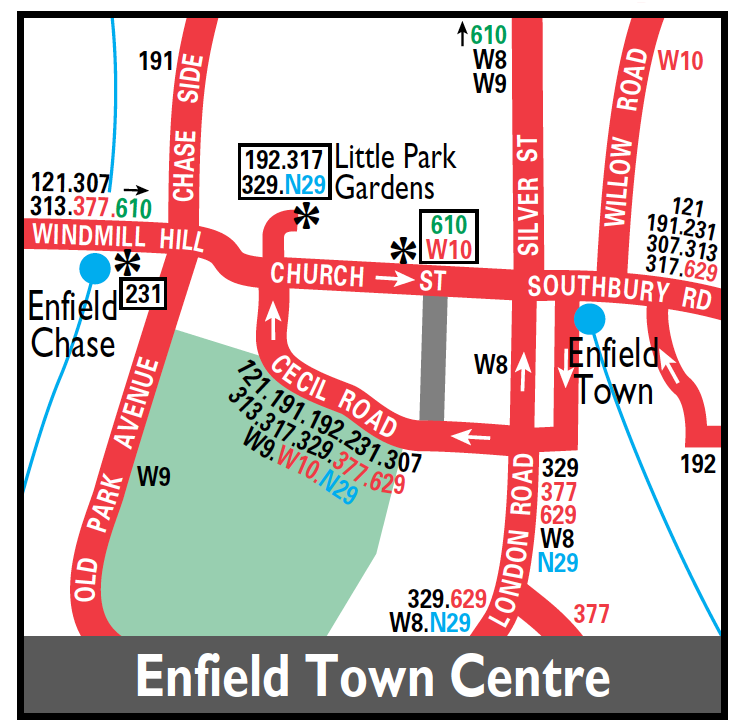 Revised stopping arrangements in Enfield Town Centre.